The FLIR H-Series is a tactical thermal imaging camera that provides a 320x240 resolution thermal image at half the cost of comparable cameras, giving officers excellent, high-fidelity thermal imagery that provides the detail necessary for cutting edge performance. See more ? and see farther ? than with other night vision technologies. 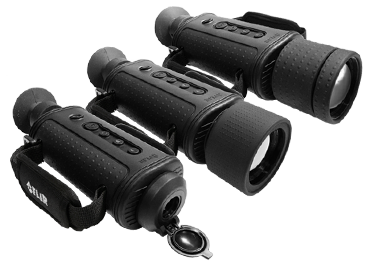 Because H-Series thermal cameras see clearly without any light whatsoever, they can see farther at night than technologies that need ambient light to work and they can see heat sources that these other cameras could never find. Deploy with the latest technology at their fingertips. With a variety of lens options, on-board image and video capture capability, and optional wireless transmission all built in to the camera, H-Series is the most potent imaging package available today. And now it?s affordable enough for almost every agency.